Shriram Transport Finance Company Limited picks four students from SRMS Institutions during a highly competitive pool recruitment drive. Shriram Transport Finance Company Limited (STFC), India’s biggest player in commercial vehicle finance conducted a pool recruitment drive at one of the prime B-Schools of Lucknow, Shri Ram Murti Smarak International Business School on 6th of March. The company was looking to fill its Management Trainees positions and held a rigorous placement process to pick the best candidates. The achievement is particularly remarkable since over 200 students from colleges in Lucknow and Kanpur participated in the campus recruitment drive. It wasn’t surprising that they thronged the SRMS IBS campus on the given day as STFC has been consistently ranked amongst the best employers in the country. It’s a matter of prestige to bag placement with a leading company, which offers exciting career opportunities to fresh graduates. But it also means that candidates have to go through a stringent screening process. 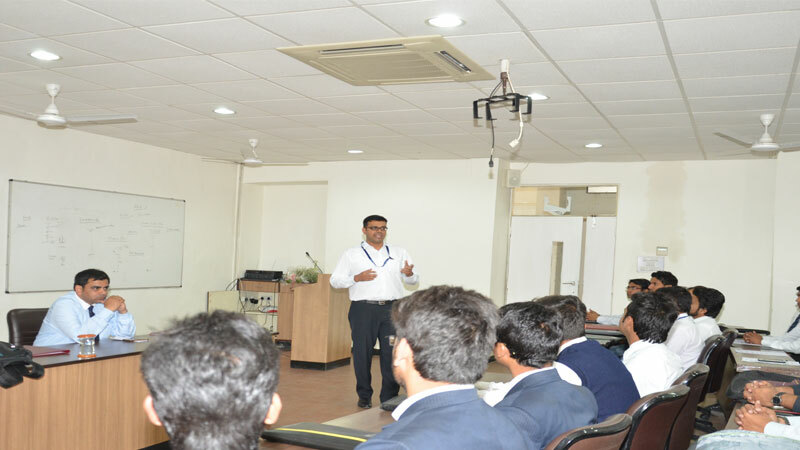 The campus placement drive involved pre-placement talk, online aptitude test, followed by two rounds of interviews. Candidates put their best step forward and made an impression with their recruiters.